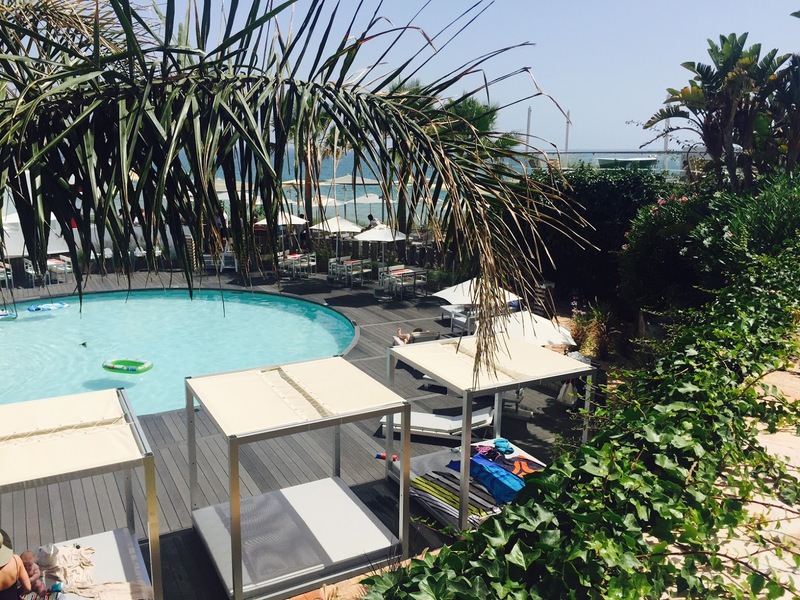 City-hopping the coastline of the western Algarve made for an unforgettable trip. 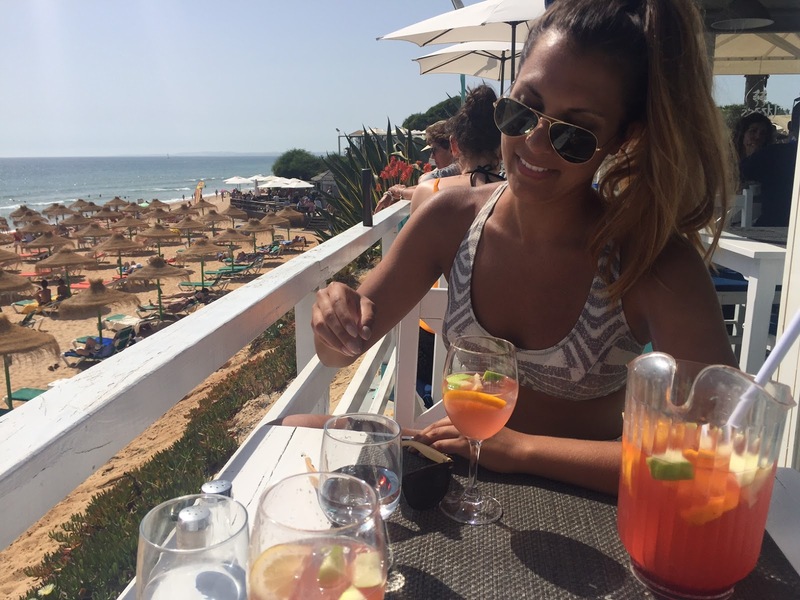 We explored Lagos, Carvoeiro, Quarteira and Vale do Lobo. Standing on the cliffs watching the sun sink into the ocean is truly an experience like no other! 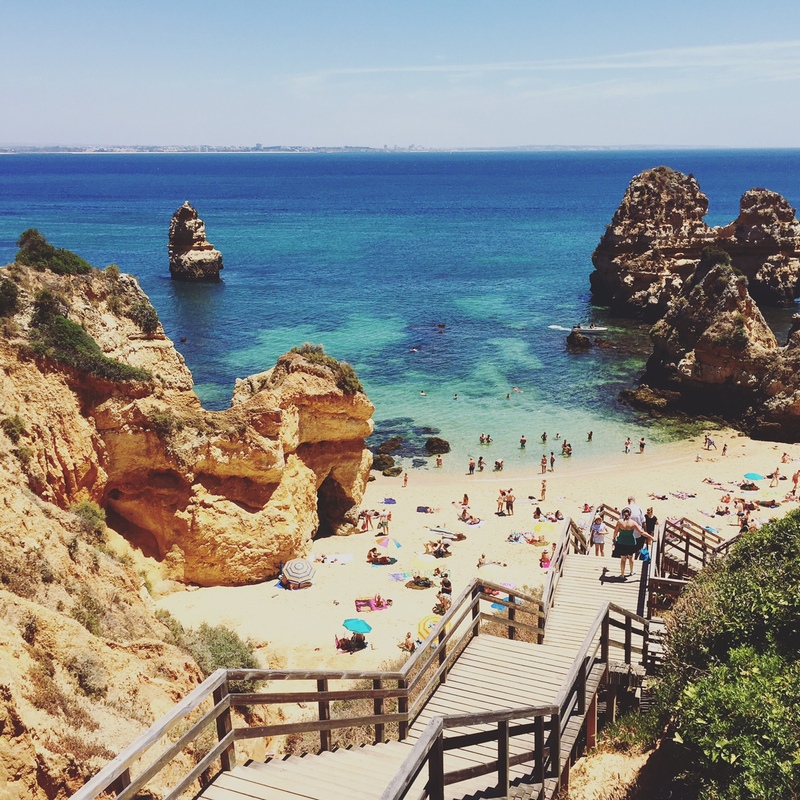 The picture below was taken at Ponta da Piedade, the main lookout point in Lagos. After flying into Faro, we pre-booked a bus to take us to our first destination, Lagos. The bus from Faro to Lagos took just over 2hs and cost €13. We planned our trip to hit the furthest city first, and gradually work our way back in the direction of the airport. The mid-summer weather was perfect but watch out -- the Atlantic waters of the Algarve are freezing! 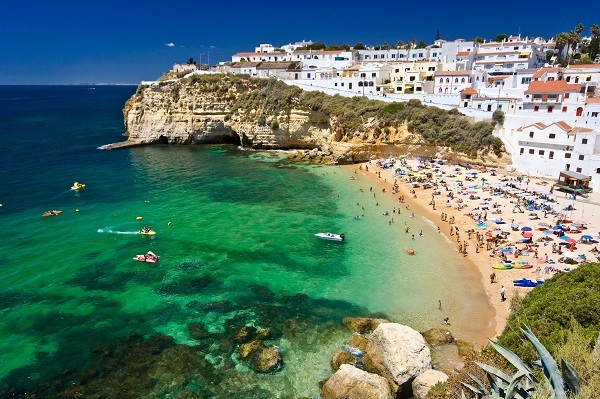 Our two favourite beaches in Lagos were Praia Dona Ana and Praia Do Camilo. The photos below are both from Praia Do Camilo - looking back at them it's easy to understand why ancient mariners believed this place to be the end of the world. The main lookout point (Ponta da Piedade) is 10 minute walk from Praia Do Camilo, so I'd recommend doing both the same day. The beaches have been carved out by the waters to expose beautiful rock formations, grottoes and tunnels. 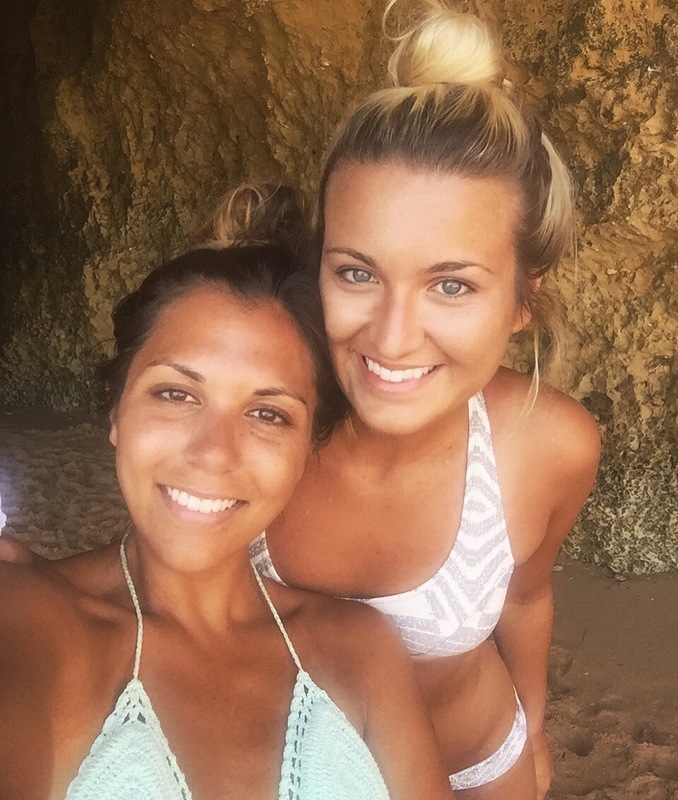 We wanted to explore them and had heard of the Benagil Caves, which we checked out by boat on our next stop, Carvoeiro. 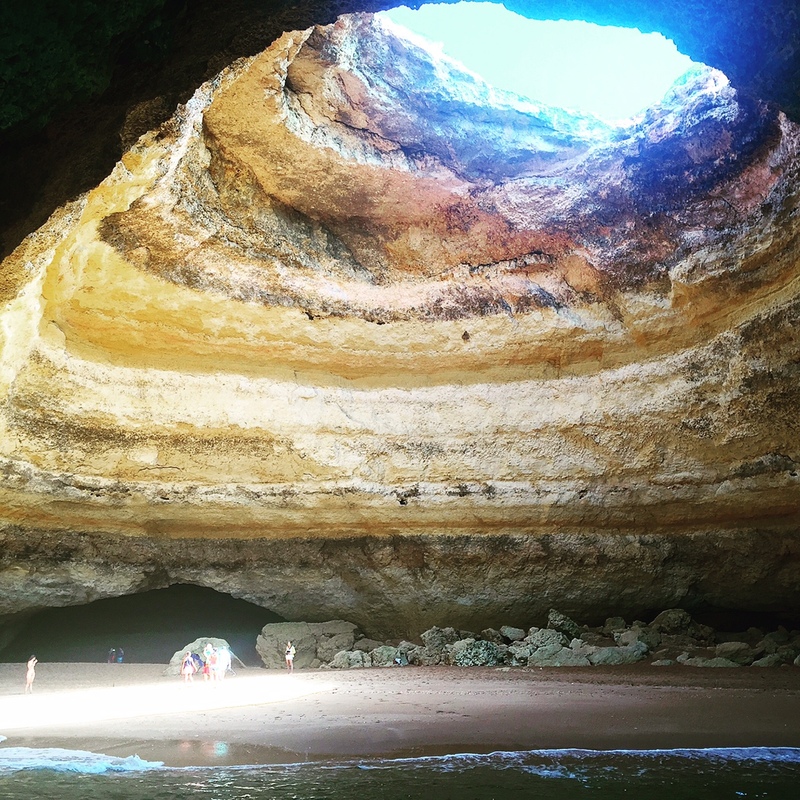 Boat tours head to the Benagil Caves from Carvoeiro Beach and are €20 per person. You can book this at the beach the day before you want to take the tour. Also, check out the restaurant Tia Ilda while you're there; the view is great and the local fish is even better. 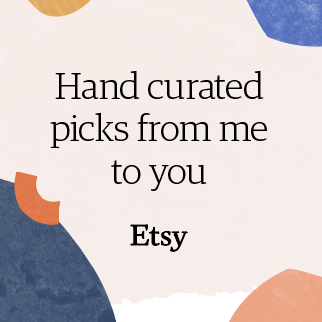 Carvoeiro is a charming town with many cute mom and pop hotels, restaurants and bars. We frequented Imprevisto Bar quite often which served up amazing cocktails and proved to be a great viewing point for some Eurocup games! From there we headed to Quarteira and Vale do Lobo, which are a 1.5h walking distance from one another. If you find yourself in Quarteira, keep one night open for dinner at Bem Bom, a destination for carnivores! 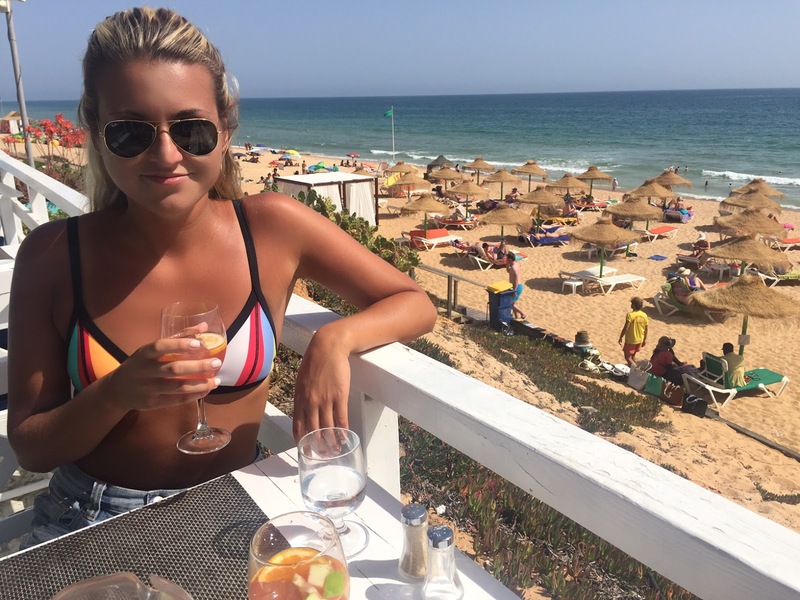 If you plan on heading to Vale do Lobo, I would highly recommend walking there from Quarteira as it's a beautiful beach walk, especially if you make a few sangria pit-stops on the way. 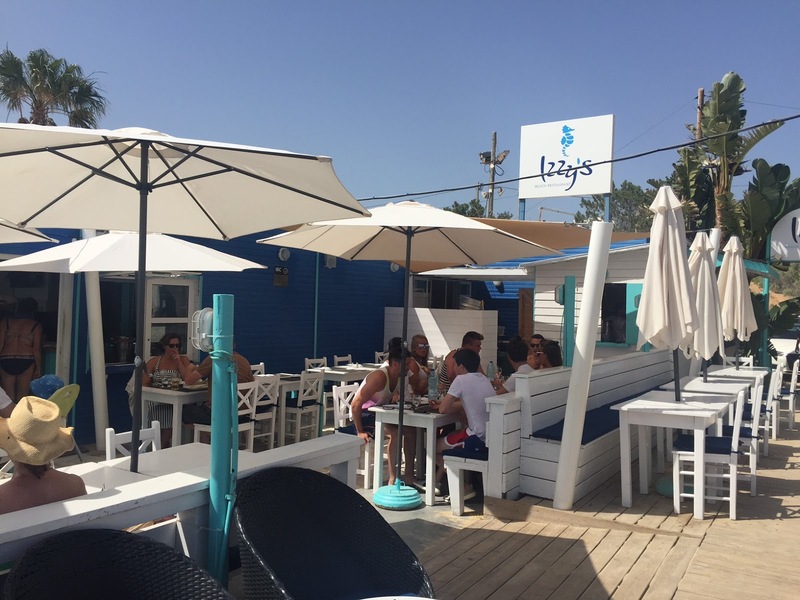 Our favourite beach bars were Breeze (where you can actually use the pool) and Izzy's Beach Bar, who regularly host day parties.